Beer at Breakfast – spread on your toast??? Scottish craft brewer Innis & Gunn has created the world’s first spreadable beer to mark the opening of its new Beer Kitchen in South Tay Street, Dundee. 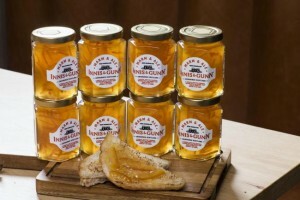 Marm & Ale, the world’s first beer marmalade, combines Innes & Gunn’s oak-aged IPA with Dundee’s finest preserve. The brewer has also unveiled a new marmalade flavoured IPA.